This cap pattern has tons of variations. Wear it plain, add stripes, add a flower for a feminine touch. 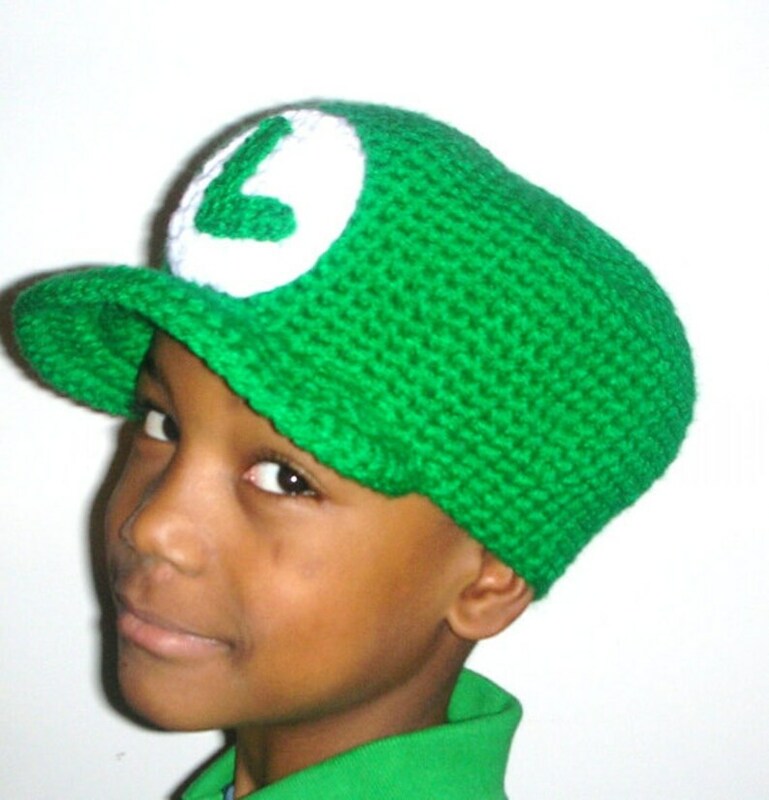 Kids and even adults may like to have a Mario and/or Luigi cap, or have their initial on the front. You can even omit the visor. This cap is perfect for any Super Mario enthusiasts! Great for dressing up for a costume party, use as part of a Halloween costume or just to wear for fun. I've included the instructions for a simple clip-on flower as well as instructions for an M and L patch.